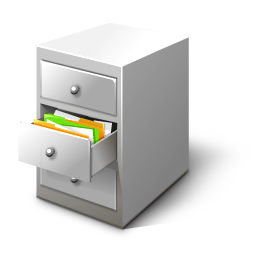 There are lots of free service which let us store and share large files on web. But most free services have limitation and want users to upgrade to paid account. Email: We can use free email service provider like Gmail, Hotmail, Yahoomail to share files as attachment. Gmail support 25 MB, Yahoo mail support 25 MB, but Hotmail support 10 GB. Windows Live SkyDrive: Microsoft Windows Live SkyDrive is an excellent free service for storing files online. You get 25 GB free online storage per account. If you need more space, just create another free Microsoft live account. You also get direct download link of files. DropBox: DropBox is free and best online storage solution. You get unlimited space (if used using desktop client).